The town of Ithaca is a fantastic place to live. It’s small enough to have a truly unique and often quirky personality, but large enough that there is rarely a shortage of things to do. Among the things I find most charming about Ithaca are its wealth of natural beauty, its diversity of dining options, and its many coffee shops. Cornell’s scenic and historic campus is perhaps the most notable location within Ithaca, and during particularly stressful weeks I clear my head by ascending the 161 steps of McGraw Tower to listen to the Cornell chimes, which are played daily by undergraduate students known as chimesmasters. I am a member of the Smolka Lab, and we’re generally interested in the mechanisms of genome maintenance with a focus on DNA lesion detection and signaling. The lab uses mass spectrometry in combination with genetic and biochemical approaches to elucidate the organization, dynamics, and regulation of genome integrity in both yeast and mammals. Particularly interesting to me is a somewhat recently described checkpoint-independent mode of genome maintenance mediated by a kinase, ATR (Mec1 in yeast). I intend to use phosphoproteomics, yeast genetics, and biochemistry to better understand how Mec1 upholds replicative fidelity. In the Hu lab, our research focuses on molecular and cellular mechanisms that lead to two neurodegenerative diseases: Amyotrophic Lateral Sclerosis (ALS) and Frontotemporal Lobar Degeneration (FTLD). We investigate the cellular and physiological functions of genes mutated in these two diseases, including progranulin, TMEM106B and C9orf72. Our study has shown a converging role of these proteins in the autophagy lysosome pathway. We use many different research models, including transgenic mice, mammalian cell lines, and yeast. To understand these pathways, we use a combination of biochemical assays and cell biology techniques. In the Hollopeter lab, we study molecular mechanisms of clathrin-mediated endocytosis in multicellular organisms using the nematode Caenorhabditis elegans as a model. Eukaryotic cells use clathrin-mediated endocytosis to internalize and recycle receptors and their bound ligands, and to maintain membrane size and composition. Adaptor proteins, such as the Adaptor Protein-2 (AP-2) clathrin adaptor complex, help mediate endocytic events by binding to incoming cargo on the cytosolic face of the cell membrane and to a protein called clathrin. Clathrin proteins polymerize and help shape the membrane into a cargo-containing pit that is eventually budded off the membrane inside the cell as a clathrin-coated vesicle. In the cytosol, AP-2 is in an inactive state with its binding sites for the membrane, cargo, and clathrin hidden. These become exposed through a conformational change when AP-2 is activated at the plasma membrane. Using C. elegans genetics, in vitro biochemical methods, and microscopy, I am working towards gaining a better understanding of the proteins and enzymes involved in this activation and inactivation of AP-2. About my research: In the Fromme lab, we are interested in understanding several proteins that regulate trafficking events at the Golgi complex using a combination of fluorescence microscopy, x-ray crystallography, and various biochemical approaches. The BMCB program has a lot to offer that made it the right choice for me. I really enjoy the collaborative atmosphere Cornell has to offer and the MBG department has created. The BMCB program also had a lot to offer for first years, for example the NSF writing course and the lab course were great! Coming from a big city like Los Angeles, Ithaca has been a big change of scenery. However, I’ve learned to really love all that Ithaca has to offer, from hiking trails, to the gorges, to the changes in season. In the Weiss Lab my research focuses on elucidating how the RAD9A-HUS1-RAD1 (9-1-1) heterotrimeric DNA clamp loader carries out its two major functions, checkpoint signaling activation and DNA damage repair. In the lab I have been characterizing separation-of-function mutants to continue to determine how cells use the 9-1-1 complex to maintain genomic integrity. To change swimming direction in response to the chemical environment, bacterial cells contain transmembrane receptors that transduce signals into the cell to control flagellar rotation. In the Crane lab, one of our goals is to determine the structure and function of proteins involved in bacterial chemotaxis (bacterial movement)—a system that is necessary for host infection. In my experiments, I use both biochemical assays and x-ray crystallography to elucidate protein mechanisms that regulate chemotaxis. What I like most about Ithaca: Ithaca is friendly and close-knit, and hence makes me feel at home! Its old stone architecture, bridges, gorges, plantations and trails are paradise surrounding an intellectually stimulating setting. 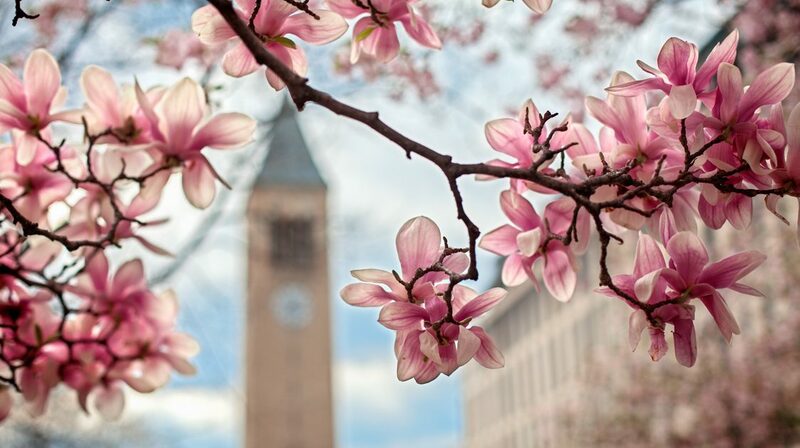 What I like most about Cornell: Its scientific environment coupled with the warm and friendly faculty and students fosters an ideal learning environment. Top reason for choosing Cornell: Cornell’s MBG department was one of the few programs to offer ‘lab rotations’ prior to joining a lab. This encouraged me to explore my scientific interests and taught me the importance of multidisciplinary research. The faculty are very down-to-earth and take personal interest in your work and development. Thing you didn’t know about Cornell before you came: Cornell has a lake and a waterfall inside the campus! Its just mesmerizing to sit by the lake after a long day or star gaze on the Libe slope by night. The Schroeder lab is interested in the structural characterization of small molecules using NMR and MS analysis and elucidating their biological functions. One of our key areas of research is understanding the “dauer” stage in C. elegans, wherein the worm enters a seemingly “non-ageing” state of metabolic arrest. My project focuses on understanding the mode of action of Daf12 and Din1, the 2 key proteins involved in triggering this dauer formation. Additionally, I am also working on identifying the endogenous small molecule ligand(s) for the nuclear receptor AHR, which is known to play a critical role in immune response and tumorigenesis, by using a high-content metabolomics approach, coupled with protein-protein interactions and functional in-vitro binding assays. What I like most about Ithaca: the scenery. Waterfalls, gorges, and hiking trails encompass Ithaca and are always worth the visit. What I like most about Cornell: supportive faculty who are invested in your personal growth as a scientist. Cornell has just about every resource you need to succeed as a graduate student and your professors are there to help you achieve it. Top reason for choosing Cornell: diverse research fields. My background is relatively unique so it was refreshing to find an institution that is active in such a wide array of biological researcher. Scientists at Cornell use their unique backgrounds and experience to tackle biological questions in innovative ways. Something new you have done while at Cornell: Attend a Cornell hockey game. Back home, ice only exists in fountain drinks. Cornell faithful show up in masses for hockey games to support their team, win or lose. The Yu Lab integrates both experimental and computational approaches to help understand how biological networks are organized and regulated. Our lab is particularly interested in predicting the impact of disease-associated variants on protein functions through their effects on protein interaction networks. To this end, our lab combined thousands of atomic resolution co-crystal structures with tens of thousands of known protein interaction to construct three-dimensional protein interaction network models to investigate where disease variants reside within these networks. Using this approach, we are exploring the potential impact of newly uncovered coding variants identified by large scale sequencing projects. Undergraduate: King Saud University (Saudi Arabia), BS Clinical Laboratory Sciences. What I like most about Ithaca: the friendly and hospitable Ithacans. Coming from a big city like DC where no one says good morning or hello, the warm, small-town feel in Ithaca is truly refreshing. Things you didn’t know about Ithaca before you came: the winter is not that bad! Not to mention how beautiful the summers are. Things you didn’t know about Cornell before you came: the wonderful variety of PE classes available. I took Karate one semester and Salsa the next! Genomic integrity is critical for tumor suppression and propagation of genetic information from one generation to the next. In the Alani lab, I am using the model organism S. cerevisiae to elucidate the role of Mlh3 protein in two genomic stability pathways: mismatch repair (MMR) and meiotic crossing over (CO). Mlh3 forms a complex with Mlh1 and is recruited to sites of meiotic CO and insertion deletion mismatches by Msh proteins. It contains a highly conserved putative endonuclease domain predicted to facilitate its role in the above processes. I aim to uncover the mechanism of its action through a combination of mutational analyses, biochemical assays, and localization studies. If you have questions about graduate student life at Cornell, please feel free to contact the students of the Graduate School Ambassador program.